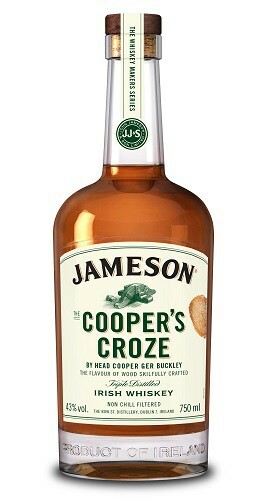 Wine Enthusiast 92 points - This new blended Irish whiskey is intended to showcase flavors imparted by the barrel. (A cooper makes barrels; a croze is a tool used to cut grooves in the barrel.) Look for a bright, fresh scent layered with fresh pear and sweet vanilla, which is echoed on the palate. Adding water coaxes out more vanilla, creme brulee and baking spice. A real sipper, this whiskey warms all the way down.